What is the break-up of the price of a house? Undivided Share (UDS) of land UDS is the share of land each apartment is assigned in a housing society. This share is registered on the apartment owner's name. Cost of construction and materials While purchasing an apartment, you pay for both labor and the material used in building the apartment. Preferential Location Charges (PLC): PLC is levied on a ‘per floor, per square feet’ basis, on all units at locations which have some advantage over others. For instance, a unit in the corner or one that is facing the park commands a higher premium than others. Parking: Most of the developers charge for covered parking and include the cost for the same in their cost sheet. According to RERA developers cannot charge for open parking spaces. Maintenance deposits and monthly charges: Housing societies offer various amenities and charge a maintenance fee for the upkeep of the same. Club membership: If the society has a clubhouse, membership fee for the first year is included in the cost sheet. External Development Charges (EDC) and Infrastructure Development Charges (IDC): These are charges that the developer is entitled to pay to the state government for the development of areas surrounding the project and development of physical infrastructure such as roads. The cost is eventually passed on to the buyers. Stamp duty & registration charges: In order to have legal ownership of a property, you need to get it registered in the registrar’s office. For this purpose, Stamp Duty and Registration Fee have to be paid. What amount am I required to pay while booking the house? If you are booking the house before the construction begins, you only need to pay the booking amount. If it is under construction property then you need to pay the cumulative amount specified in the payment plan till the current status of construction. How does RERA protect my money? According to RERA, 70% of the amount realized from the home buyers should be kept in an escrow account, opened in a bank recognized by the government. 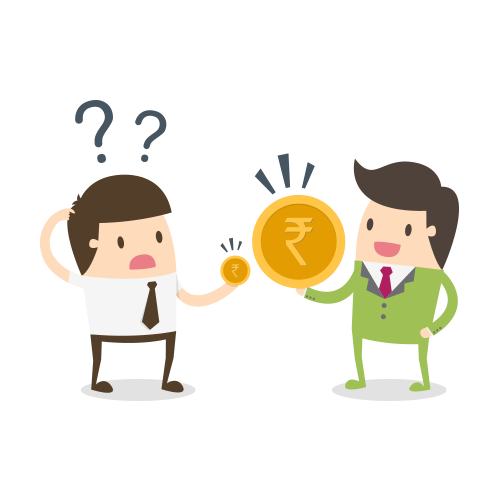 The developer can withdraw money only when it is certified by an architect, engineer and a chartered accountant, that the amount withdrawn is in the proportion of the percentage of completion of the project. A developer cannot accept more than 10% of the cost of the apartment as an advance from the home buyer, before getting the agreement of sale registered. If the person makes an advance deposit on the basis of an advertisement or information contained in the brochure or model apartment and sustains a loss or damage due to incorrect or false information, he shall be compensated by the promoter.